So, I've wanted a bigger light-box for some time so that I can trace larger images to paint them on thick watercolour/fabriano paper and I thought that it would be really good to turn my existing drawing board into a Light-box, which I will be able to adjust. I'm going to document how I did this, just in case any of you think it is a good idea. 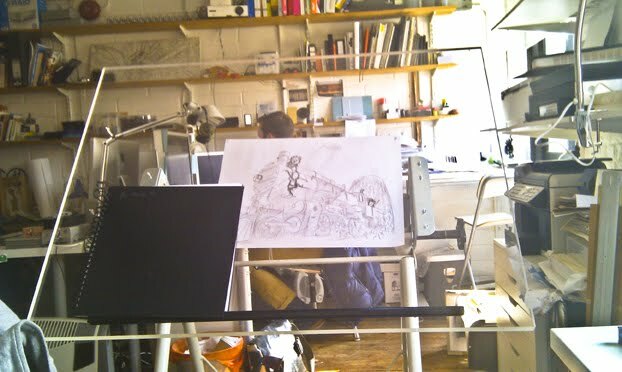 Below you can see my old classic drawing board. 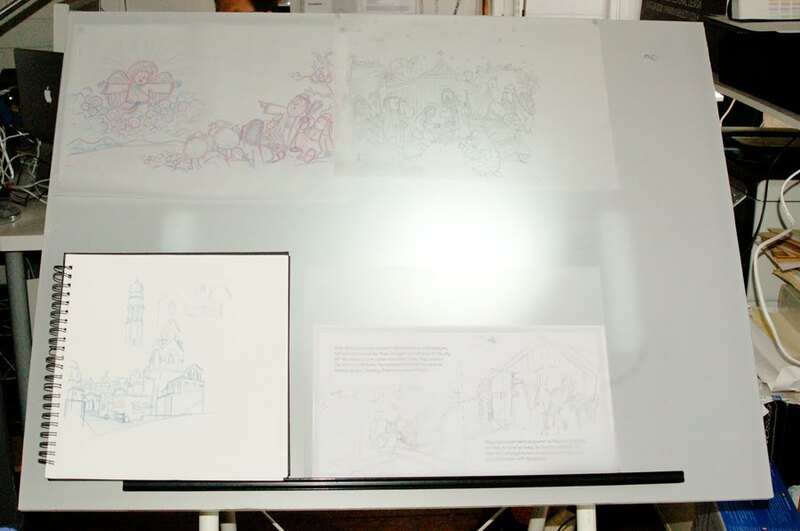 Phase one of the project was to remove the drawing board top and replace it with a sheet of clear acrylic which is 20mm thick. 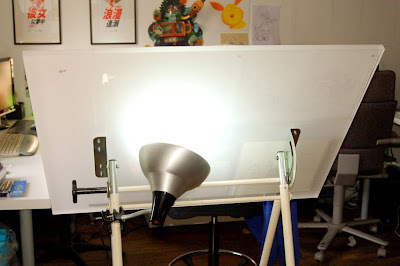 It is actually bigger than my drawing board so I had to lose the parallel motion (slider that moves up and down) but I don't use this anyway. The photo below shows the drawing board with the new translucent acrylic top, which hads been screwed onto the legs using their existing screw holes. We also used the handle of the parallel motion slider as a little ledge at the bottom to keep pencils in and stop sketch books falling off. 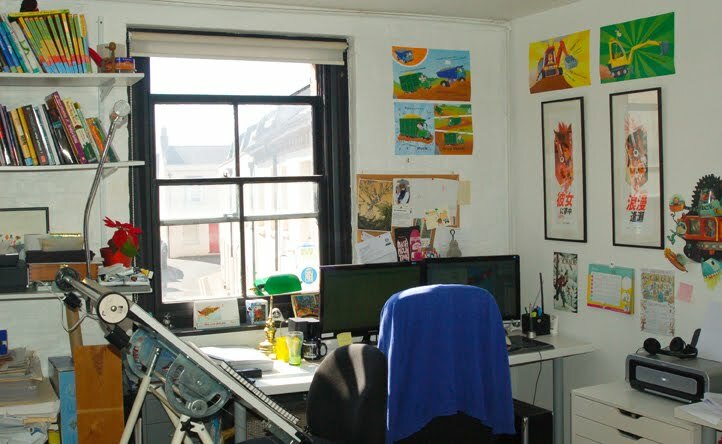 I then covered the acrylic in frosted window film, with the help of someone else as its a pretty tricky job. 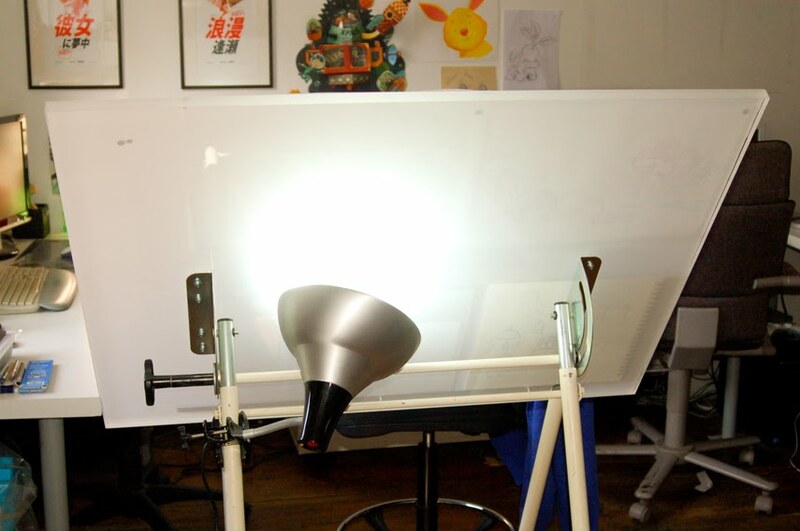 I bought a clamp on energy saving lamp so that it does not get too hot, and there you have it, a lightbox drawing board. I may at some point, get another lamp that I can clamp to the other leg so that the light area is bigger, but at the moment it is fine for me. 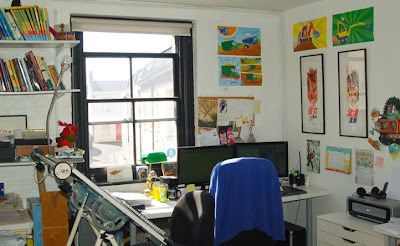 Thanks Genna, a bit of work, but great to have a big lightbox area to draw on.